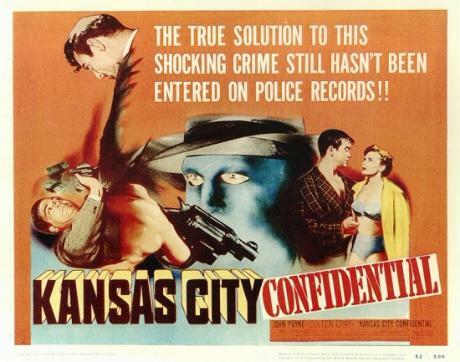 This is one of the greatest noirs ever, in my opinon. It was a huge influence on Reservoir Dogs. Tarantino pretty much took the whole script and made his own version of it. It's got a modern feel to it as well, in the way it was edited, especially considering its from 1952. It's hard to sum up the appeal of noir. It's a combination of the shadowy figures and the hard drinking and the sleazy bars. It's something that really appeals to me. I went through a stage of just watching film noir for months on end because it was so fascinating to me. It's a black and white world that's gone forever.